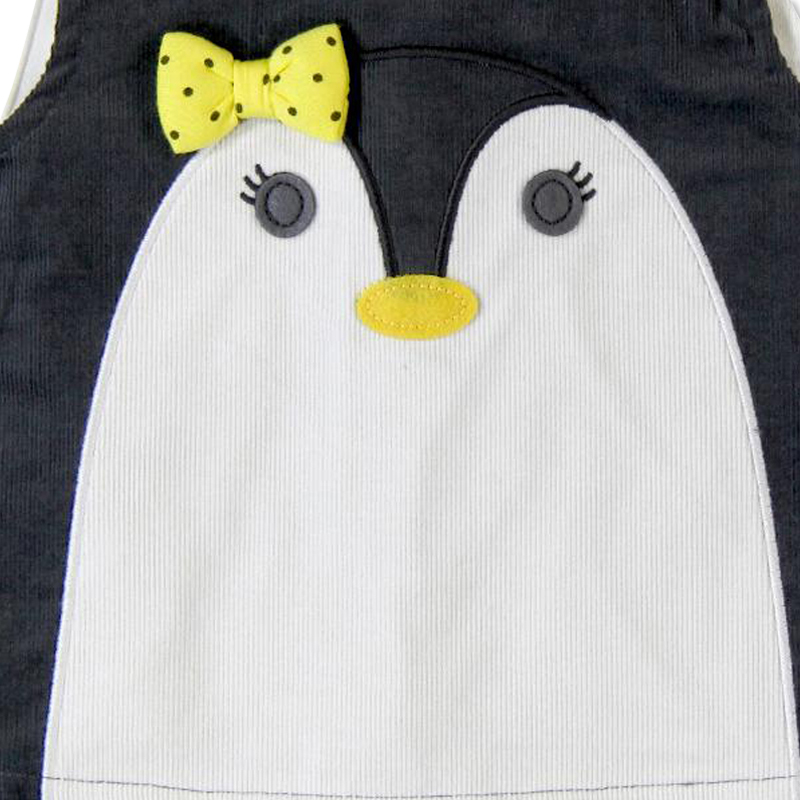 Boboli Grey & Cream Penguin 2-Piecel Corduroy Dress - An adorable choice for little girls. This corduroy dress 2-piecec Penguin dress in cream and gray from Boboli. 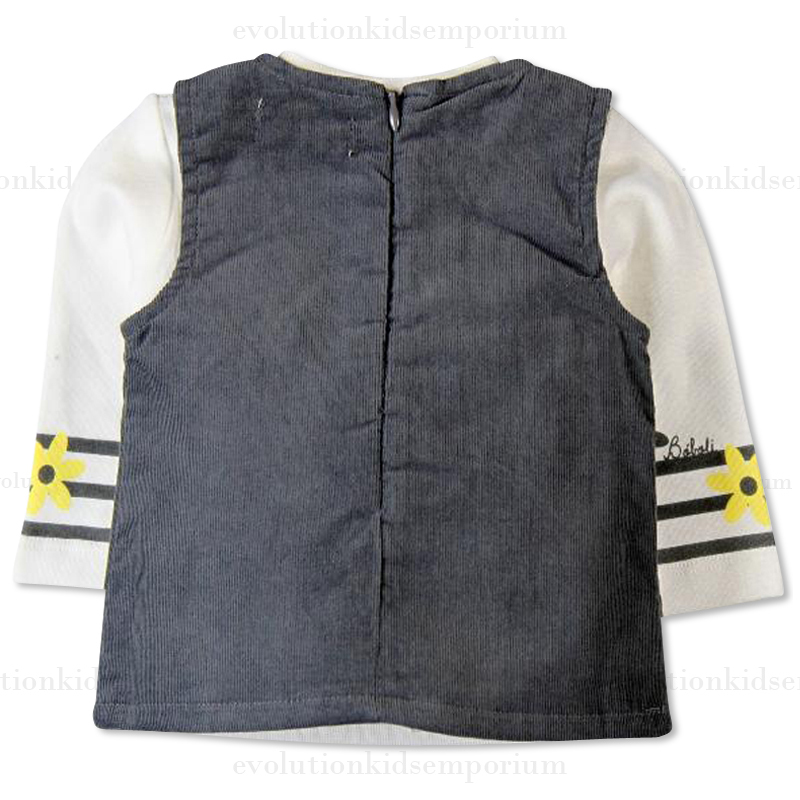 The set consists of a sleeveless dress and a long-sleeved top for less. Both parts are made of 100% cotton and are washable at 30 degrees. 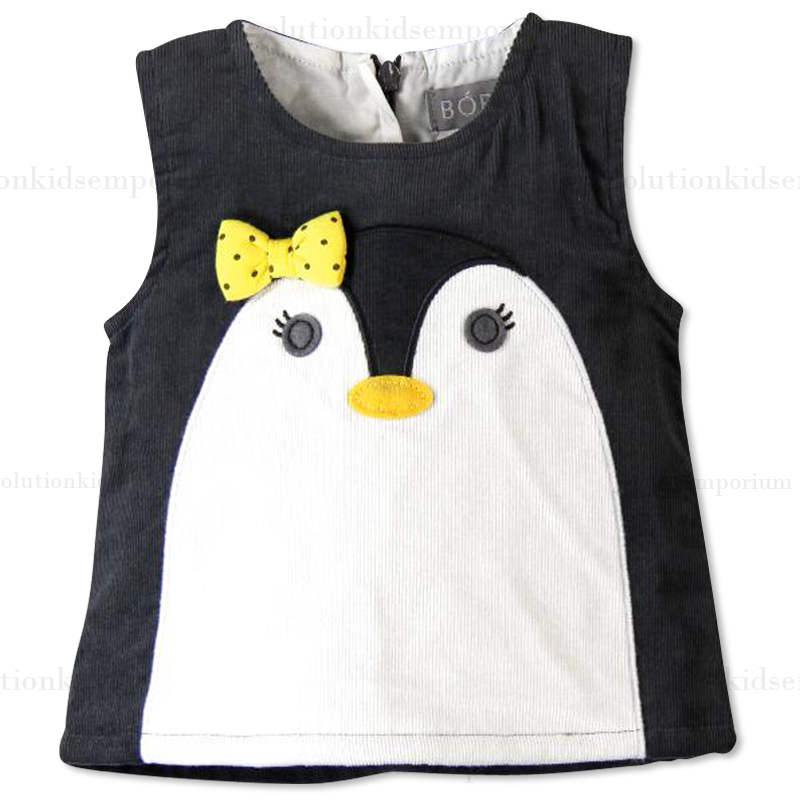 The dress shows a carefully umstickten Penguin with fabric applications for eyes and nose. The yellow ribbons forms a sweet eye-catcher. The dress is slightly flared and is behind closed by a long zipper with pinch protection. 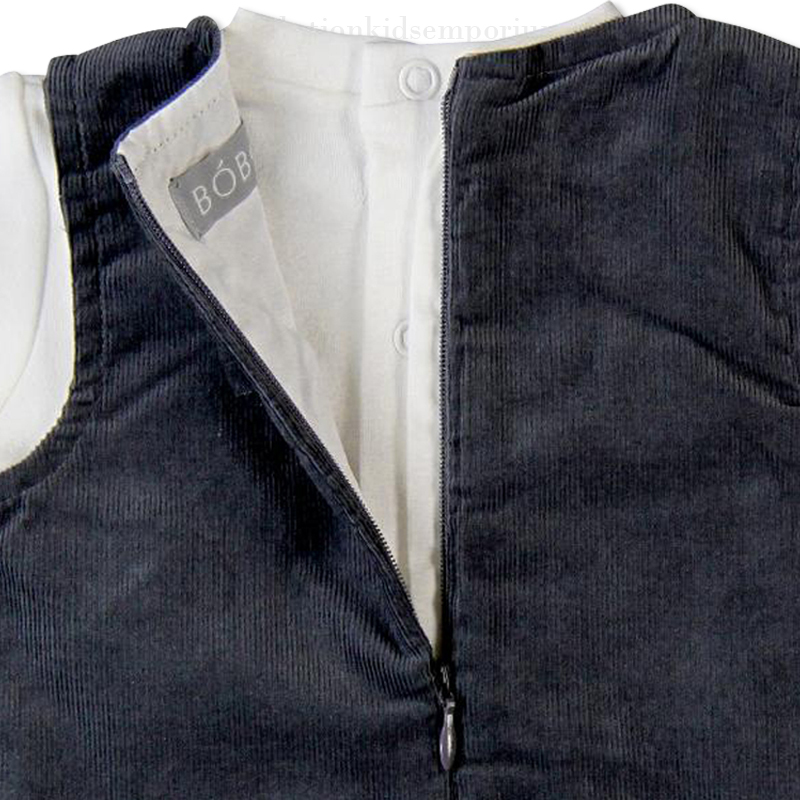 The pleasantly stretched shirt with the soft round neckline at the back has a solid snap fasteners, which makes donning particularly comfortable. 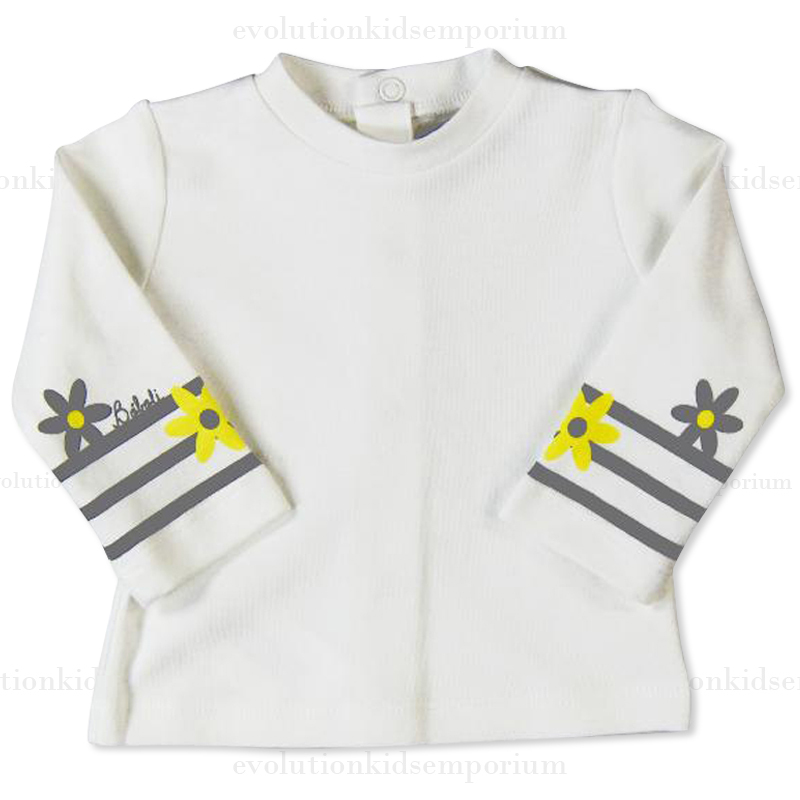 At the sleeves thrilled a handsome print with flowers and stripes in gray and yellow. 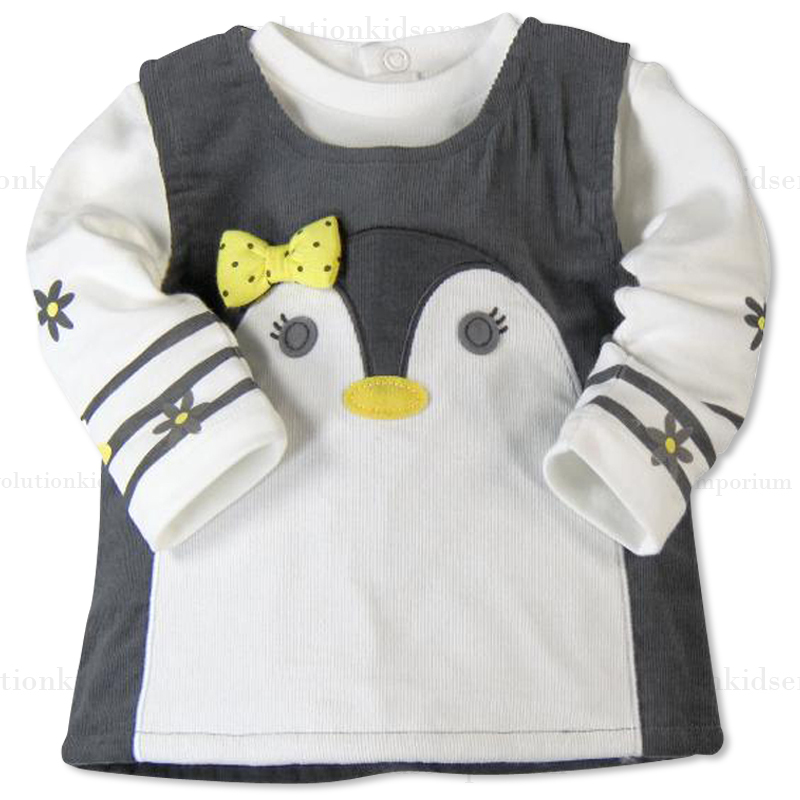 The Boboli Corduroy Penguin 2-Piece Dress is a very cute and high-quality finish to compliment your precious little girl winter look.